Commercial Kosher > What Is Kosher And Why the cRc? > About the Kosher Division? The largest regional Orthodox organization in North America, the cRc is a not-for-profit group offering a wide variety of Jewish services. Members of the cRc occupy positions of prominence in synagogues, educational institutions and elsewhere. We are actively engaged in creating and sustaining a thriving, vibrant community in the greater Chicago area and throughout the Midwest. Our organization serves as an agent for many valuable projects on behalf of the North American Jewry. In addition to our Kosher Division, we maintain a Rabbinic Court for family issues as well as arbitration and mediation. We are also involved in community relations, funeral standards, legislative issues, singles programming, youth education, and a host of other activities benefiting the Jewish and general communities. Established in the mid-1930's, the cRc's Kosher Division works with close to 1000 food companies, producing tens of thousands of products across North and South America, Europe and Asia. Many companies and manufacturers turn to the cRc for its worldwide name recognition, professionalism, personal attention, reasonable pricing and rapid turn-around time. Consumers across the globe identify the cRc as a symbol of exacting standards. From humble beginnings, the cRc has developed into a universally accepted agency with a respected kosher certification symbol. This was accomplished by maintaining high standards and an unwavering commitment to individual service. The cRc promotes kosher observance through its supervision arm, services to food producers and extensive consumer education. By providing supervision to diverse industrial plants, trucking and truck wash facilities, hotels and restaurants, the cRc helps provide the consumer with kosher products and services that meet their religious and dietary needs. Our staff of expert supervisors oversees production from beginning to end, ensuring that the laws of kosher are followed with exacting detail. A team of professional field representatives complements the administrative staff's extensive experience in the food industry. In addition, cRc's vast network of influential communal leaders in cities throughout the country has helped the cRc symbol gain international recognition. cRc kosher supervision is directed by Rabbi Sholem Fishbane and his staff of Rabbinic authorities. Each Rabbi specializes in one of the many areas of the food industry, including production, manufacturing and transportation. cRc supervisors certify food products and production plants in cities across the globe, from Benton Harbor to Brussels. These supervisors frequent their designated plants and production sites to guarantee that all ingredients and production processes are in accord with the Jewish dietary laws. In every generation, the Jewish community looks to a Rabbinic authority who can answer the many perplexing questions of everyday living. 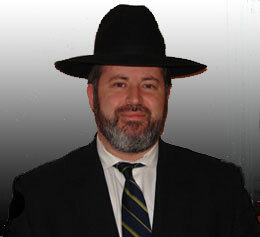 The cRc is privileged to have Rabbi Schwartz as its Rabbinic authority. Rabbi Schwartz's distinguished career includes the many prominent positions he held around the country and his published works on Jewish law. He was appointed the Chief Rabbi of the Chicago Rabbinical Council in 1987, and the Chief Presiding Judge of the National Beth Din (Rabbinic Court) of the Rabbinical Council of America in 1991. Rabbi Schwartz is frequently approached by other rabbis and lay people from around the world who seek his sage advice on religious and personal matters. He is known as "the Rabbi's Rabbi." One of the stars in kosher certification, Rabbi Fishbane directs the cRc's Kosher Supervision service with energy and dedication. He was recently elected as the Executive Director of the Associated Kashrus Organizations (AKO), an umbrella group of major international kosher-certification agencies. Rabbi Fishbane is a spokesman for kosher matters and has published many articles in Jewish and food-related periodicals. He has also been featured on public television and radio programs.